Being smart is awesome. Smart people have an easier time of life and contribute more to the world. I think everyone should develop their intellects. However, there are some social mistakes that are mainly made by people who identify themselves as being intellectuals. I think these behaviors originate in the messages about intelligence that some people learn as they're growing up. For example, a kid may have been told from a young age that he's special for being smart, he should base his whole sense of self-worth around that, and that his intelligence makes him better than other people. There's also a loose culture among people who think of themselves as smarter than average, and many of the behaviors below can be picked up through it. That means a lot of the points below may sometimes be appropriate to use around fellow self-identified intellectuals, but they often rub other types of people the wrong way. It's all about knowing the right context to use them in or not. This one is usually pretty minor and harmless. Sometimes smart people have a lot of random information in their heads and they can want to share it with everyone. They may unconsciously assume sharing interesting knowledge can be their angle for adding value to a conversation. However, they bring up their trivia around people who don't care about learning fun new facts, or they go on about something just long enough that it starts to bore everyone. For example, someone could be talking about their new puppy, and the smart person will chime in to explain the unique mechanics of how dogs use their tongues to lap up water. No one is horribly offended or anything, but at the same time they're looking at the person like, "Uh... Okay... Thanks..."
A brainy person may become interested in an esoteric and/or highly technical topic and feel discouraged when everyone seems to brush them off when they try to talk about it. They may start to feel alienated and question whether they have anything in common with their friends, and if they're too intelligent for most people and are doomed to a life where they'll constantly have to dumb themselves down. Overall I think intellectual types should find like-minded friends, who they don't feel they have to hold back around. However, even fellow intellectuals aren't keen to discuss every topic. Many people have specialized interests that are boring and inaccessible to outsiders when talked about in any depth (e.g., playing an instrument, working on cars). They realize there's no point in bringing them up in day-to-day conversations, and save that for fellow enthusiasts. It doesn't mean they're outcasts or that anyone who doesn't share their interests can't be a good friend for them, just that they accept they can't talk about everything they want to with everyone. Generally cultivating an air that you're extremely intelligent and knowledgeable. Thinking you have all the answers and discounting other people's input. Going out of your way to make intelligent-sounding statements, for no reason other than you want to show off. Writing in an overly wordy, abstruse style because you want to show how smart you are. Having a tendency to steal the spotlight in conversations and then expound on some issue you want to appear knowledgeable about. Going out of your way to let people know how effortlessly you comprehend a tricky concept or problem. Stereotyping typical people as a mindless, mouth-breathing horde who happily lap up whatever Pablum Hollywood and the mass media feed them. Noticeably scoffing at people when they say something you feel is ignorant, or when they don't understand a topic that comes easily to you. Toying with people: Purposely trying to talk in a way that goes over someone's head and makes them feel confused and dense. Purposely trying to lead a 'dumb' person into unwittingly saying something embarrassing. The thinking behind these behaviors reflects a lack of perspective because intelligent people aren't all that special or unique. Even if someone has a one-in-a-hundred level of intelligence, in a city of a few million there are going to be tens of thousands of other people who are just as smart. Also, you could say that being intelligent on paper, or in the sense of being able to solve abstract puzzles quickly, is kind of pointless if you don't use your mind to actually accomplish anything. Your IQ score just becomes a number to stroke your ego with. I.e., the guy who's always interrupting other people with, "No, actually..." Watch yourself if you have a tendency to act like this because it's really bad about disrupting the happy flow of an interaction. This is especially true if you're correcting something that's minor and tangential to the point the speaker was trying to make. There are times when it's necessary to point out someone's error, but it's not when a friend is excitedly telling a story about their vacation and you bring things to a screeching halt to explain they couldn't have possibly flown on the type of plane they said they did. It's even worse if you correct people in a curt, condescending, blunt, rude, abrasive, or exasperated manner. They may think they're being helpful, interesting, or impressive by pointing out someone's mistake. They're not considering that the correction may not be appropriate at that time. They may have a mentality where it just feels 'wrong' to let a mistake slide. They may feel they just have to say something, and get a sense that they're restoring balance to the universe by sharing the Truth with others. Some people may get a little ego boost from being knowledgeable, knowing more than someone else, and getting to show it. Some people may correct others out of a sense of intellectual competitiveness. By pointing out someone's mistake they feel 'one up' over them. Someone says something you don't agree with. You start arguing with them. Once the argument starts it gets really hard to back down. The other person says something even more stupid, which really gets you going. You have to prove them wrong. You have to get the last word in. The same mentality that can lead people to correct others can also make them want to get into debates. In that 'intellectual subculture' I mentioned there's a view that arguing and debating is a fun, mentally-stimulating activity, one that's often done in a spirit of friendly competition. A debate is nothing personal, just a chance to work out your critical thinking muscles and score some points by pointing out your opponent's use of logical fallacies. Unless the other person has the same kind of mindset as you, they're probably more annoyed and taken aback than anything. They just stated an opinion and now you're jumping down their throat. It's another way to easily derail a social interaction. Like correcting people, wanting to jump into a debate can become a bad habit. If you get a bunch of intellectual people together, sometimes, but not always, the discussion will turn into a big battle to prove who knows more than all the others. One person will make some statement. Someone else will have to jump in and trump it with a more impressive, obscure piece of knowledge. A third voice will point out they're mistaken and offer the 'accurate' version of the facts. It will be pointed out that someone used a big word improperly. Even if they're just casually discussing a topic on the surface, underneath everyone's really vying for the title of Smartest Person at the Table. All the ideas of correcting, debating, and 'one upping' I just mentioned come into play here. Like the other points, doing this can be tiresome to other people and throw a conversation off its axis. When you hang around other people who like to argue and debate all the time, everyone can get into the bad habit of being too blunt and tactless with each other. This is fine around your intellectual friends, but not so great around people who have no tolerance to it. Arrogance can also lead someone to speak in a rude, overly-straightforward way. There's a pretty well-known joking-but-not-really theory that says typical people apply tact to everything they say. Nerds, as the theory goes, are the opposite. They're naturally more abrasive around each other, but don't take any of it personally because they apply tact to everything they hear. Two typical people or two nerds can communicate with each other just fine. But if you put a typical person and nerd together it breaks down. The nerd gets exasperated with the typical person for tiptoeing around what they want to say, and the regular person gets offended by the nerd's curt, direct manner of communicating. Skepticism and even cynicism are important parts of critical thinking skills. You should think for yourself and not accept what you're told at face value. Some people go too far with this though. Present them with anything and they'll immediately find some cynical angle to it. Fun new show on TV? Just a way for the media oligarchy to distract us from the real problems in society. People can think they come across as an enlightened social commentator when they make statements like this. They can get a self-esteem boost out of it, because you feel like you're part of an elite who knows how things really are. However, many people see hyper-cynics as negative complainers more than anything. I think it's great to be skeptical in your mind, but when you verbalize it all the time, and around the wrong audience, you can come off badly for injecting too many negative vibes into the conversation. This is the same idea as the point above. Some intelligent people can think that by pointing out the flaws in everything they're impressing everyone with how perceptive and analytical and insightful they are. They see it as a sign of intelligence to be able to spot what's wrong with something when no one else has. They can believe that if they come across something new and can't find anything wrong with it then they've failed somehow. It definitely takes brains to break things down and recognize their flaws, but unless you're purposely having a conversation in order to critique something, mentioning your observations out loud just makes you seem pointlessly nitpicking and negative. One way this can be especially off-putting is when you feel compelled to dissect and comment on things where nothing is at stake, like a friend's light, slightly exaggerated story. 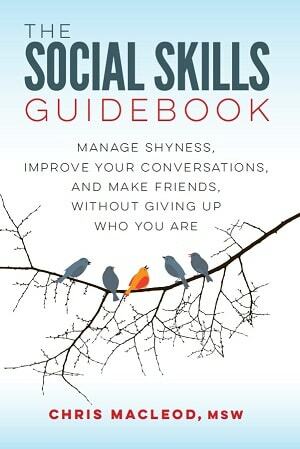 There are millions and millions of smart people out there who have very good social skills. It's only a subset of intelligent people who fit into that stereotype of the person who's so brainy and on a different wavelength that it interferes with their ability to relate to others. I think some smart people can limit themselves by buying into the narrative that interpersonal skills and intelligence are an either-or thing, or that everyone who's gifted is doomed to forever lurk on the outskirts of society. 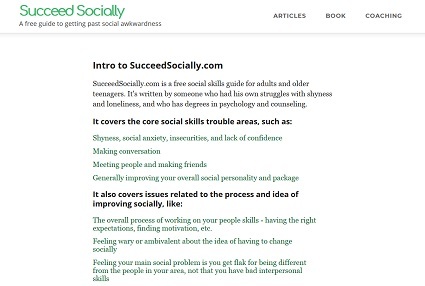 A related idea is that social skills are a 'lower' kind of concern and not worth a smart person's time to learn. I'm sure their unique way of the seeing world does give highly intelligent people some problems in social situations. However, I think the impact of this can be overstated, and that social skills can be improved if the person is willing work on them. This isn't an annoying behavior, just something I've noticed about some highly intelligent types. People who are very smart can have minds that work in unique ways. Sometimes the novel perspective this gives them, coupled with a lack of firsthand experience, plus a dash of over-analysis, can be a liability when it comes to figuring out how the world works. It can cause them to miss the obvious or simple answer and instead come up with a more complicated, eccentric theory. I've seen really smart guys use their powerful, but sometimes quirky, brains to analyze social situations, come to these totally off-base conclusions, and subsequently sabotage their future encounters with people.